Black Editions is honored to present the first ever California Flashback Festival: Two evenings inspired by the historic Tokyo Flashback albums that introduced the world to Tokyo’s incredible psychedelic 90’s underground and instigated generations of psychedelic rock freaks around the world. First night features, Acid Mother Temple, an ever-shifting radical collective of true heads and one of the most prolific and kaleidoscopically heavy psychedelic groups of this or any era. A convergence of this era’s most vital psychedelic rock groups, a full-blown 21st Century freak out. Sorry! 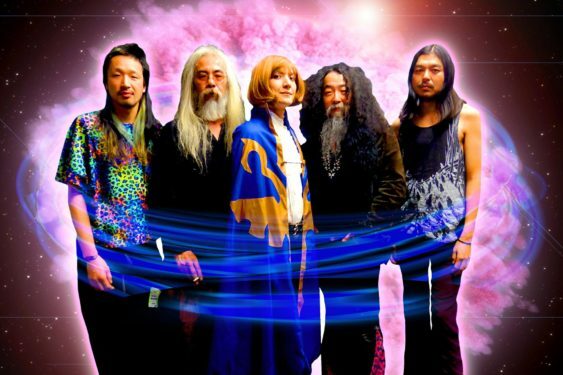 The contest for California Flashback Festival: Acid Mother Temple | Rickshaw Stop has ended.